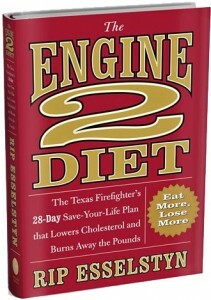 Earlier in the week I profiled the “Engine 2 Diet” (read my thoughts here) which is basically a low fat vegan diet. I especially liked the recipe portion of the book for the section on dressings, sauces and dips. I am sharing the “Healthy Homemade Hummus” recipe with you as it makes an easy spread for sandwiches or dip for crudite and is impressively low fat since it does not have the standard olive oil or tahini. You can make a double batch and eat it during the week as this will keep for about 5-7 days. 1. In a blender or food processor, blend all the ingredients into a thick paste, using a small amount of water or broth as necessary to achieve desired consistency. Download the recipe here or on our resource page!